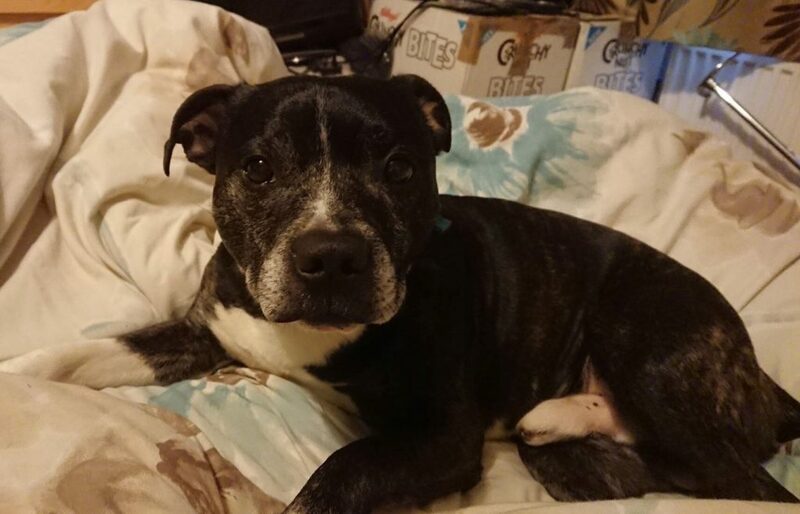 Ria is a super sweet little Staffy girl who is 8-9 years young. She is still full of life, in good health and loves her walks and to play! 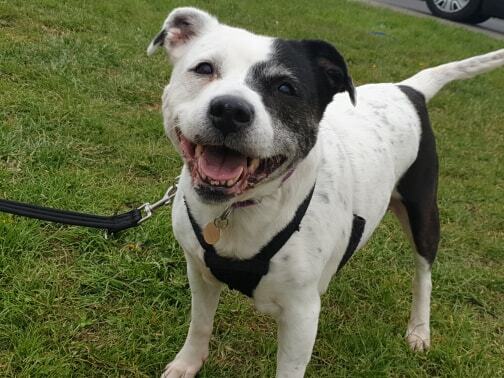 She is great with children, and just loves human company – she will love being part of a family where she will get lots of company and cuddles. Ria walks nicely on the lead and is an obedient little girl who does as she’s asked. She is perfect around the house – fully housetrained, not a chewer and fine to be left for a few hours. She is fine with other dogs, and ignores dogs on her walks, but does want to be top dog in the home, so would be happiest as the only dog. She is a chaser of cats/ small furries so would be best not to live with any! 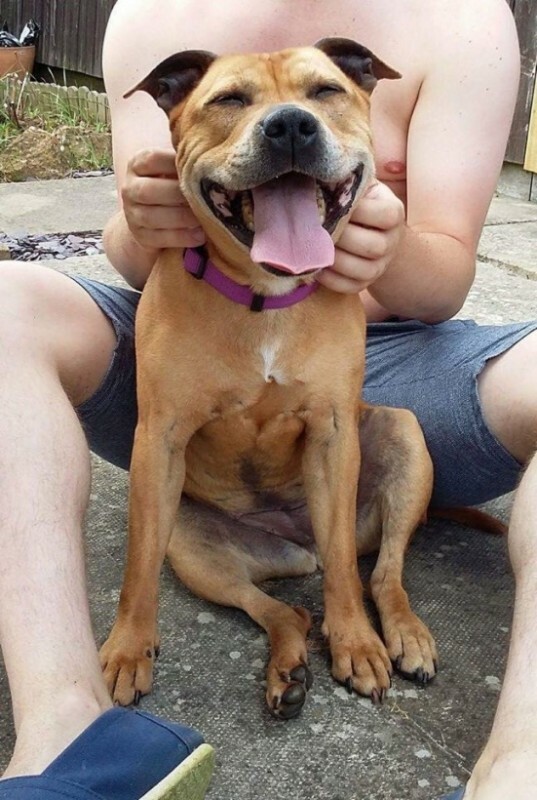 Ria has been passed around a lot in her life before arriving into our care, and deserves to find her dream home who will love her forever and treat her like the little princess she is! She really is a perfect little girl, please don’t be put off by her age as she acts and looks much younger, and is in great health. This entry was posted in Female, Good with kids, Happy Endings, Medium by Amanda HYPS. Bookmark the permalink.